Robert Darnton, Carl H. Pforzheimer University Professor and University Librarian, Emeritus. Libraries never were warehouses of books. Whether in large research universities or small towns, they function as nerve centers, sending messages throughout the collective body of communities. Librarians never limited their functions to ordering books. They have always interacted with readers, supplying guidance about how to find information and about what varieties of literature suit the readers’ interests. The need for guidance is greater than ever in the age of the Internet, because users easily get lost in cyberspace. Google is not enough to help them find relevant information. Librarians with professional training can help them find a path through e-books, e-journals, data sets, apps, multi-media publications, and all sorts of new material conveyed by new modes of communication. In the branch libraries of New York, librarians even help the unemployed find jobs; for employment notices no longer appear in the want ads of newspapers; they are posted online, and an unemployed person often needs professional help to have access to a computer and instruction on how to use it. Libraries today are full of users who use them in ways undreamt of thirty years ago. Do the new services provided by libraries mean that they should give up their old function of purchasing and making available printed books? Certainly not. More books are produced in print each year than the year before, except for a downturn following the Great Recession of 2008. Last year in the United States sales of e-books actually declined while sales of printed books increased, and many new independent book stores were created, thanks to the demand from customers who wanted to buy new books. The codex, developed about 2,000 years ago, is one of the greatest inventions of all time, and it is still going strong. One thing we have learned in the new field called the history of books is that a new medium does not displace the old ones, at least not in the short run. The publication of manuscript editions—books copied by scribes in professional scriptoria—continued for more than two hundred years after Gutenberg’s (re)invention of printing with movable type. In my view, the digital and the analog are not enemies, located at opposite ends of a technological spectrum. They are allies, whose strengths complement one another. For some kinds of reading in some texts, readers prefer electronic tablets. For other purposes, they prefer printed books. A first look at a book on a smart phone often leads to the purchase of that book in printed form from a book store. And all sorts of hybrid books are being invented. I published one myself: a book about street songs in eighteenth-century Paris. You can read it in the normal way from a printed codex, and at the same time you can listen to the songs—sung according to the original music—from a recording on a website. Instead of becoming a battlefield between the digital and the analog media, the communication landscape is now richer and more varied. And libraries belong to a general, world-wide effort to make the cultural inheritance of humanity available, free of charge, to all human beings. 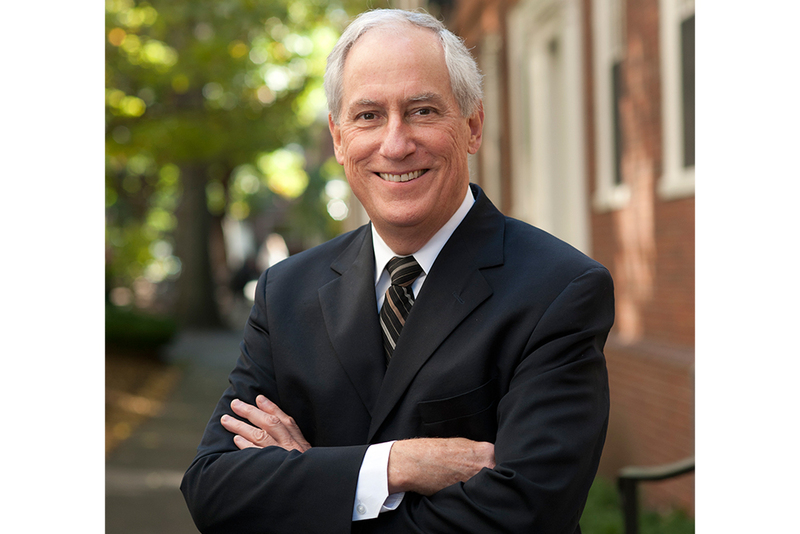 Robert Darnton (*1939 in New York) is an American cultural historian and academic librarian who specializes in 18th-century France and the history of the book. He was educated at Harvard University and Oxford University. 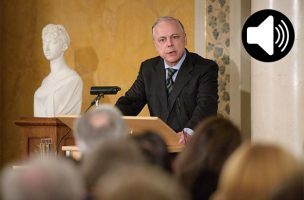 After a brief stint as a reporter for The New York Times, he taught at Princeton from 1968 until 2007, when he became Carl H. Pforzheimer University Professor and Director of the University Library at Harvard. Die vollständige Rede zum Lesen und Nachhören.